I’m not a photographer, but I have a great appreciation for people who do have an eye for capturing the perfect angle at just the right moment. It amazes me. 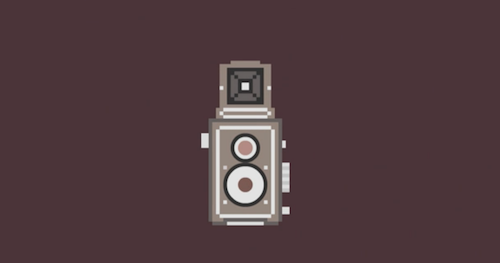 This 1 minute collection of cameras video made me nostalgic. Anyone out there still shoot with film? P.S. — Remember Gabrielle’s family photo shoot that was done in film? Don’t shoot with film anymore, but I have so many memories of hanging out with my dad in his darkroom. Oh that’s so cool Rebecca. I’ve never been in an darkroom but it seems very mysterious. It was SO exciting! After summer camps or sleepovers when we’d taken a bunch of pictures, it was like standing on eggshells waiting to see the results. Most were terrible but it was so exciting to sort through the stack. I do!!! well have recently restarted and i am loving it!!! Oh, very cool Melissa! I hope you scan them and share them online! Let us know if you do. 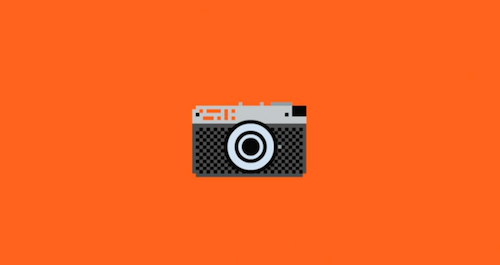 Me – a La Sardina. Super cool. as much as i love the value and immediacy of digital…i miss the old days when i traveled the world with my little nikon fe and my bag of foil wrapped slide film, worrying as it slid in and out of the x-ray machines or was doused with sea spray on some faraway island. in film school, my class was the last to be required to use film. that i do not miss. ten thousand dollars for a three minute film still hurts me to think about. Oh Film, it’s all I shoot with. Ditched the digital years ago and never looked back. Thanks for this post. So great! Love the video! The last time I shot photos on film was for my photography classes in college. I still cherish the prints I have because I remember all of the blood (literally, I cut myself opening a film canister), sweat and tears it took to develop the film.